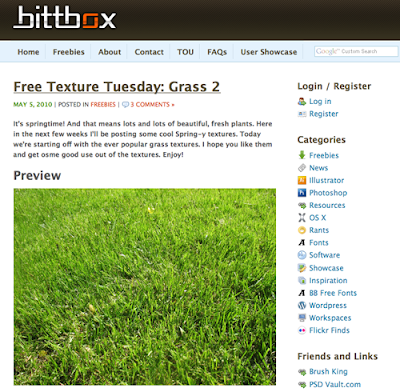 Bittbox.com is an online resource for the Adobe Creative Suite. I particularly like their Photoshop and Illustrator tutorials. Other perks are their weekly downloadable freebies- texture, images and brushes. Polyvore.com is usually used as a dream board for all of the clothes you wish were in your closet. However, they also have a furniture category stock full of awesome pieces. 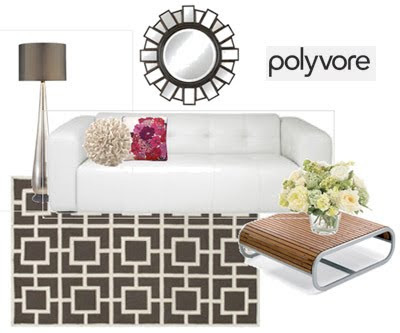 When I want to redo a room or determine a design style, I go to Polyvore and start playing with different furniture pieces! 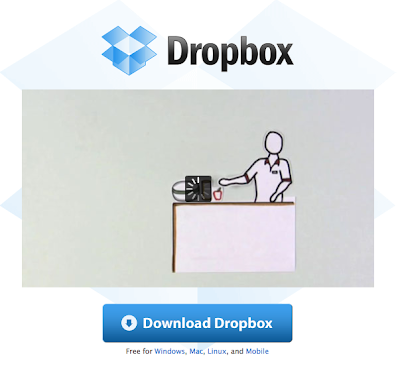 Easier than carrying around a flash drive, Dropbox.com is an online file storage service that you can access from any computer. Simply save files from your computer into your Dropbox folder and you can view those files anywhere. It's a great way to share large files with friends, coworkers and family. 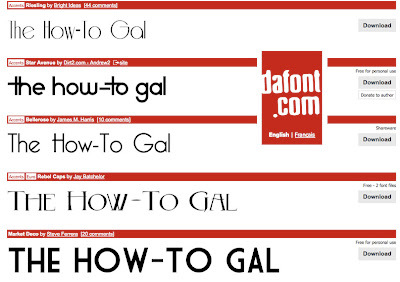 Dafont.com is an free font downloading site that has new fonts on a daily basis. My favorite part is the customizable search function where I can preview the fonts in the specific text I want. For other places to download fonts, visit my review of several online font downloading websites. 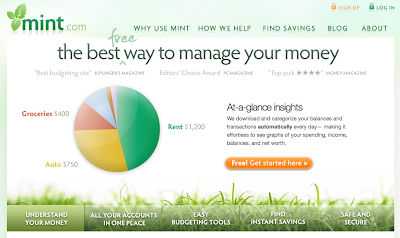 What websites do you use on a daily basis and couldn't live without? I love me some Polyvore!!!! and i will have to try the other sites. Thank you for the award! 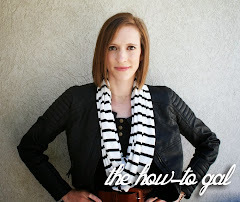 Off to check out your blog! These are great links! I'm very thankful for this Techie Tuesday. I've got Photoshop and InDesign and all kinds of programs I just don't know how to use.